When you’re learning a new skill or taking up a new hobby, the hardest part is sometimes figuring out the basics. 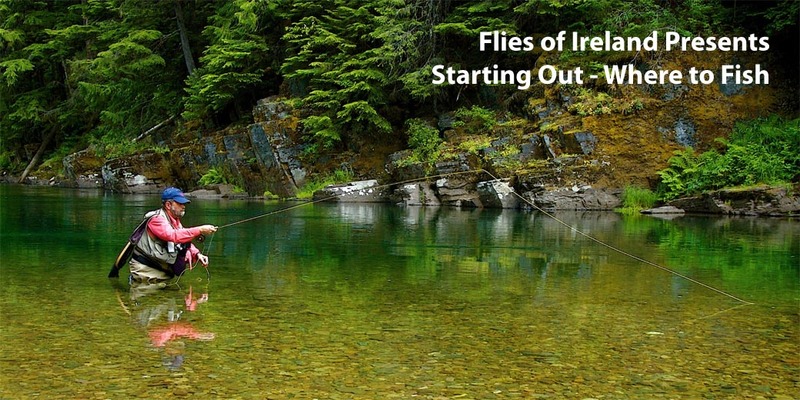 In our new series of blog posts, we take a few minutes to discuss a few basic principles of fly fishing to help any beginner get up and running as quickly as possible. – Location: Find the fish and you are halfway to catching them. – Observation: Know the foods fish eat. – Imitation: Have your fly look like the foods fish eat. – Presentation: Get your fly to the fish in a natural and lifelike way. Trout are coldwater fish, so you will only find them in rivers, lakes and ponds that have cold water year round. In rivers, trout face upstream bringing the food to them. Like bass and panfish, they spend all their time eating, resting and hiding from predators. When they are resting, river trout hide under currents; near the bottom of deep pools; under shoreline structures such as logs, brushy banks, undercut banks, and boulders; and in holes and culverts. When they are feeding, stream trout move to where the food comes to them – eddies (anywhere there is a break in the flow, creating a fast current beside slow-moving water), along weedbeds, behind boulders, at the tailouts (exits) of pools (places in the stream where water moves slowly), and in early morning or late evening in the stream shallows. Discover feeding trout (and bass and panfish) by looking for the riseforms (dimples they make when feeding on the surface). You can locate nymphing trout (fish-eating nymphs beneath the surface) by looking down into the water (using polarized sunglasses) and spotting their sides or open mouths flashing as they feed. Lake- and pond-dwelling trout behave differently, cruising in search of their food. Look for them along weedbeds, a prime location for insect life. Also look for riseforms on the lake. And, trout often cruise the surface and “gulp” hatching aquatic insects. Next time, we discuss essential fly fishing gear.